My Review: After her father’s death at the hands of an arsonist, Lynette finds her way back to Freedom and to the faith that once comforted her. A relationship grows between her and Price, the minister of her father’s church, but Lynette can’t let go of the injustice of the town’s gossips that hold a grudge against her for a wrong she didn’t commit. 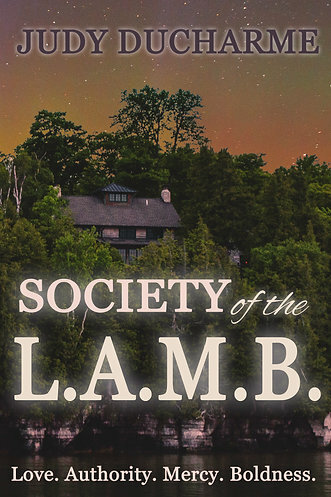 Ms. Ball once again delivers an exciting novel full of mystery, murder, and moving prose. The novel is one that’s hard to put down full of page turning twists and turns. 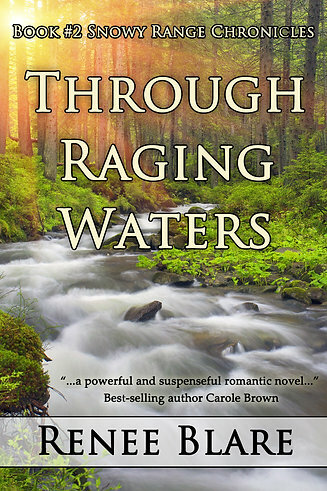 My Review:  An early spring storm sends a deluge on the tiny hamlet of Timber Springs and the creek crests its banks. Prominent members of the Fitzgerald family jump into action to rescue the flooded town. Paul Fitzgerald, the town’s pharmacist, puts together a team to rescue surveyors stranded at mountain cabin. Melissa Hampton works for a large timber company and finds herself in the fray locating equipment for her boss and the town’s rescue. She gets caught up in the search for the surveying team due to her concern for Paul, the man she loves. While more than a rescue attempt plays out at the cabin, Melissa and Paul become acutely aware they may not survive their ordeal. Ms. Blare writes with a great deal of emotion and impact. 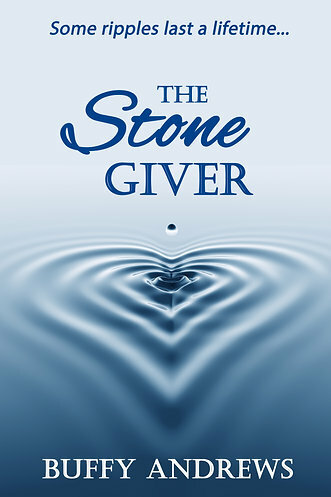 The story progresses at a rapid pace making it hard to put down. You would think the author of countless romance stories would find it easy to write one out of her own life. But it’s not. Growing up, I would walk home and look up to heaven, spin around, and wonder if God was taking my picture. Did He care for my overly-sensitive, hurting and lonely heart? All a teacher had to do was look at me wrong and I’d burst into tears until sixth grade when I learned to hide my pain. The sweetest love story is when, after years of sensing God’s call to me, I finally understood that I could respond. That he was waiting for me to do so! James 4:8 says “Draw near to God and He will draw near to you. (NASB)” Really? He wasn’t some distant King high on a thrown beyond my reach. I first came to understand this at a Campus Life/Youth for Christ meeting. For weeks I had begged some friends to let me come to a meeting. They seemed happy. They had something I didn’t. And they would go to concerts for groups like . . . Petra, who I had never heard of. Finally, I was invited and we had a conversation about misconceptions people had about Christianity. I was raised knowing about God and taught to fear Him, so I was fully engaged in the conversation. Then the biggest misconception hit me—that people didn’t understand that they could have a personal relationship with Jesus Christ. I prayed right then and there and my entire world shifted. I went out and bought a Bible and started devouring it. Opposition came but I clung to Christ. To a hurting, lonely fifteen-year-old, the fact that the God of the universe wanted me—Me?—was a huge revelation. When depression plagued me, I was told I was trying to manipulate people. The only reason I never attempted to take my life was because of the love of God. Thirty-five years have brought me through many trials and triumphs, deep pains and sweet moments. God has been there by my side through all of it. I wish I could say that I’ve been as faithful to Him as He has been to me. It’s hard when people have wounded me deeply to trust the God who allowed it to happen. Yet I wouldn’t be here without Him. He’s led me, grown me, matured me . . . and I’ve learned that in Him I have more strength than I could ever have on my own. Some trials I look back on in wonder at how I was able to respond the way I did. That couldn’t have been me, could it? Through abuses, betrayals, heartache, He has been my constant. My one true love. 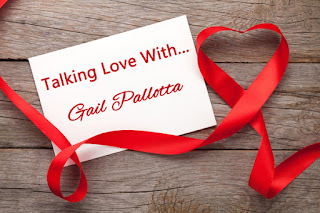 When I write my romances my hope and prayer is that at some level the reader will understand the love of God that underlies the journey’s my characters take. God is faithful. He has never abandoned me. The fact that He gives me the opportunity to put some of those experiences into my stories to bless others is just another example of His love for me. Fighting evil has been a hobby, but fending off marriage-minded debutantes—a chore. Lord Charles Percy fends off a land pirate robbing a carriage in broad daylight. Noting he has rescued a beautiful debutante, he lies about his title claiming to be a mere mister. The Honorable Henrietta Allendale isn’t convinced Mr. Percy is who he claims to be. But after he admits to one blunder can she ever truly trust what he says? Especially about the evil threatening her? Who is the Black Diamond anyway and why would he be after either of them? One intrepid debutant and one bumbling Baron soon join forces to defeat evil. But to do so might mean they have to sacrifice the one thing they’ve each held as most important—their single status. 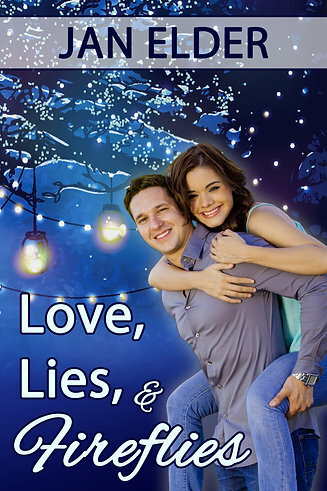 Can the truth set them free to love? A double wedding? Was it possible? 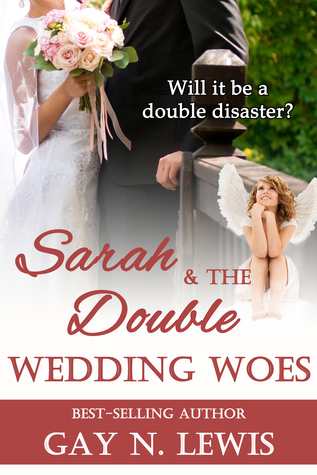 The Superiors want Jessica and Robert to marry, but they throw in a twist--while seeing to their wedding, Sarah, Heaven’s Little Love Angel, must also find a mate for Bonnie, Jessica’s mom. Her orders are to bring about the two weddings simultaneously. Can Sarah pull it off? Or will her clumsiness destroy two romances in one shot? My Review: Ms. Lewis never fails to win the heart with the adventures of her little angel, Sarah. The heavenly adventurer’s task this time is to bring four people together and have them marry. Her charges, Bonnie and daughter, Jessica, each want the other to be happy, and while both have been widowed for a number of years, they can’t think of leaving the other one alone. Jessica is already dating Robert, but there’s no one in sight for Bonnie – that is until Sarah shows up. 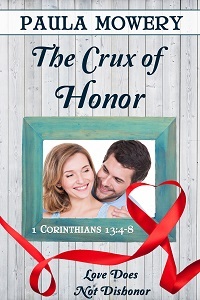 St. Paul took a whole chapter in I Corinthians listing various hallmarks of love. Rather than attempt a pat definition, he revealed some of love’s many facets, turning it over and over as one might a brilliant, perfectly-cut diamond. Since love is such a broad topic, let’s zero in on one aspect—romantic love. When a special person makes the heart beat faster, regardless of the season of life, we begin to question our emotions. Am I in love? How will I know when it happens? How can I be sure when it is the real thing? Living a few years teaches us romantic love is accompanied with tender feelings, but that “gushy” feeling alone is not enough to stand the test of time. Love is more. Real romance involves two people who care enough for each to put the other ahead of themselves. In a “me first” instant gratification world, that kind of commitment is rare. Yet it is the kind of giving, sharing love we hunger for at our very core. “A bell is not a bell till you ring it. A song is not a song till you sing it. Love in your heart isn’t put there to stay. Prism Book Group’s “Love Is…” series takes its inspiration from I Corinthians chapter 13. Eventually there will be a short novel that takes its theme from one of the aspects of true love. 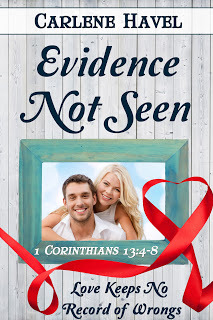 My contribution to this series is “Evidence Not Seen”, inspired by “Love keeps no record of wrongs.” Or, if you prefer the lyrical language of the old King James translation, “thinketh no evil.” I hope those who read my story find it to be true to that sentiment. In the final analysis, we are left with faith, hope, and love. What a marvelous trilogy! And the greatest, of course, is love. May we all practice it faithfully, daily, unrelentingly. Love never fails. Although attorney Jeff Galloway’s career is in high gear, his personal life is a mess. Just before his father returns home from a 27-year stretch in prison, his girlfriend dumps him. When a chance encounter begins to blossom into new romance, soft-hearted Melanie Clark encourages Jeff to find a way to forgive his father’s long absence. I'm excited to have Danele return today with her latest book. She is such an interesting writer and I absolutely can't put her books down. Bio: Danele Rotharmel grew up with a love of the literary word, and by age five, she knew she wanted to be a writer. However, her life took an unexpected turn when a mysterious illness brought her close to death. Eventually, she learned that a low-level carbon monoxide leak from a faulty furnace in her home was slowly poisoning her. This poisoning triggered severe Multiple Chemical Sensitivity and partial amnesia. 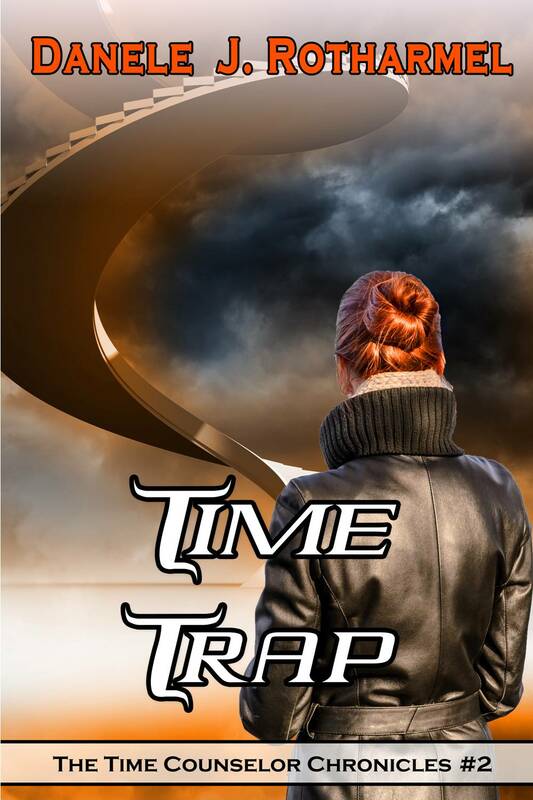 A little bit about Time Trap: When problems arise during a field exam, Director Peter Matthews and Dr. Laura Nelson are sent through a time portal to investigate. While they search for their missing cadets, they encounter an enemy who is calculating and brutal—a mysterious nemesis who is holding a grudge against the TEMCO program. As Peter and Laura race to unravel clues directing them to their kidnapped cadets, their own survival comes into question. A deadly trap has been set, and they are forced to pit their wits against a serial killer who is intent on playing a deadly chess game through time itself. 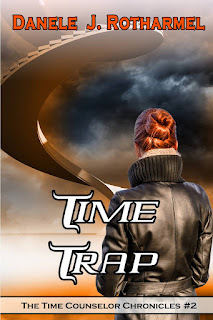 My Review: The second book in the Time Counselor Chronicles is just as exciting as the first. Ms Rotharmel delivers an exciting punch to anyone looking for a sci-fi adventure. The characters are well established and with the interesting development of several plots intertwining and weaving together to the end, this book cannot be put down. Once again we visit TEMCO Labs and the time counselors. Dan and Gil arrive back through the blue glow with their new son. The baby’s delivery causes Gil’s old injuries to flair, and she and Dan remain at the hospital while the other employees keep it from them that something is dreadfully wrong at the lab. Again I’m impressed with the writing craft displayed in this series of books and wildly impressed with Ms. Rotharmel’s talent. Can’t wait for number three! After a fire destroys their home when she was a girl, Sarah’s family rebuilds their lives, yet the echoes of the fire’s damage remain. Sarah learned to turn inward, and keep her curious mind to herself, asking God all the questions that her own father used to delight in. But the fire silenced her father, and spread the stillness to the rest of them. Yet Sarah longs to express herself, to find answers to all her questions. A new, young pastor arrives, and captivates her heart. The prospect of a challenging and unexpected life dances before her, but then is held out of her reach. And with the new possibilities come questions she’s never asked herself before. Is she ready for the answers? My Review: After a devastating fire ravages their home and community, Sarah’s father pulls away from the family and hardly speaks. He’s gone for long periods of time hunting and struggling to provide for his family in turn of the century Wyoming. Due to her families’ situation, young Sarah is left with many questions. Ten years later, when Sarah is on the edge of womanhood, a young minister come to their church. He’s full of ideas and questions of his own. The two struggle against their romantic feelings and other mounting concerns of the community against the newly built library where Sarah is the librarian. He seeks God’s will and teaches her to do the same. Ms. Bolton has a pleasant writing style and with her well-hewn skills draws the reader into her characters. The descriptions of the hard life of a farmer in Wyoming and the development of the community atmosphere enhance the story. 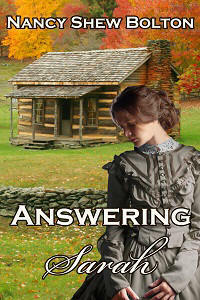 Answering Sarah available on Amazon. As Janie and Betsy Ann go for their morning jog, the city sanitation vehicle follows its normal five-mile Tuesday morning route through their retirement community of Sunset Acres. 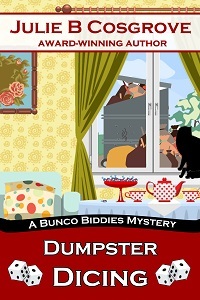 The two Bunco-playing biddies spot a leg dangling out of the dumpster when the truck lifts the trash container high in the air. Someone diced up one of their newest residents—a grouchy loner named Edwin Newman. Did he unpack too much of his dicey past when he moved in last weekend? Senior citizens, Janie and Betsy Ann, never imagined they’d see a body tumbling out of the dumpster during their morning walk at the retirement village. Determined to do a little sleuthing to help out Janie’s overworked son in law, Blake, chief detective of their small community, Janie and Betsy enlist the help of the Bunco Biddies. This novel will make you smile, make you laugh, and shake your head at the antics of the senior set and their ability to solve the mystery just steps ahead of the police department. A well written and executed story. I love reading the first in a series, and discovering I want more. In this case, I want more. "Sharon McGregor"
Order Dumpster Dicing on Amazon! Summer Reading Reviews of four suggested vacation reads. This well-crafted novel is layered with several interesting facets. The story of the local swim team, Susie and Matt’s evolving love story, and the deviation of Lyme disease. Not only is it an interesting concept, there is a great deal of information in this novel of which the general audience is not aware. Susie’s health issues have taken over every aspect of her life, and she’s willing to give up a lucrative career to find a cure. The alternative route she takes requires faith, enduring emotional pain, and seemingly giving up on everything to find an answer. Well done. Noah is on a mission to right a wrong. Rylee hangs on to the hope of finding the family who abandoned her. Rylee’s year as a nanny in Hawaii would be every eighteen year old’s dream, but soon the dream crumbles into a nightmare. 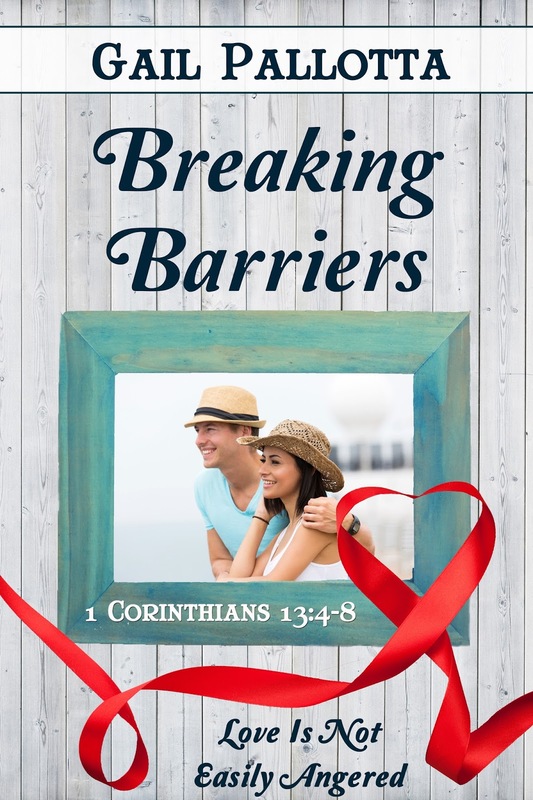 Her employer’s estranged son, Noah, finds his way into her life when she attends Aloha Fellowship. Rylee is taken by the dark haired young man with an interesting past; one that will entangle her into a web of deceit and terror. Mystery, suspense, ill-fated present-day reality – this novel has it all. Well balanced with the developing love of the young couple against the backdrop of a tropical setting. Wow – what a fascinating multi-layered suspense. I feared at first I couldn’t keep the variety of characters in this novel sorted out, but the writing is so superb, I had no problem. The characters were extremely well crafted and the setting of the story intriguing. I could feel the bite of the cold March wind drifting up from the lake and picture the cliffs of Ireland and their deadly drop. The angst in my chest grew at each new development in the story. Just when I thought I had the plot figured out – I discovered I didn’t. I read the last few chapters quickly because I sensed there would be one more murder before it was all over. Well done, Ms. Rolfs; hope there will be more. What girl wouldn’t be swept off her feet by a handsome Navy doctor? But Emma’s careful, she’s had her heart broken once, but is he worth the risk at another romance? Julie B. Cosgrove warms the heart with this sweet love story. 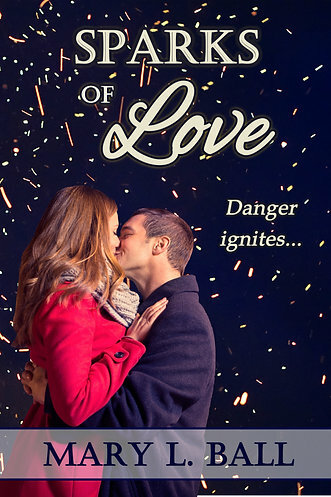 Emma's heartbreak, a plane trip shared with the Navy doctor who switched seats to sit next to her, a rented car, and an injured ankle all work together in this delightful story of love, patience, and hope. We’re told in Scripture that God is love. He definitely proved His kind of love is an unconditional and undeserved type through sending His Son to die for our sins. Some love isn’t hard to conjure. God just helps us to enhance it. For example, I am still head-over-heels in love with my husband of twenty-six years. But through God’s Word and leading, I’ve learned to love my husband more like God planned for a wife to love her husband. When my little girl was born, I was in love, even though it took a lot to get her here. But God has shown me how to love my daughter through example and discipline. I struggled with infertility issues before finally conceiving my only daughter. My bitterness heightened each time I would hear about a young woman or girl who conceived out of wedlock and by accident. I cried out to God that this wasn’t fair. I wanted a baby and would care for that child and love that child, giving her a mother and a father. Some years later I was approached by the director of our church association’s Pregnancy Crisis Center to become their devotional leader. I struggled with my answer for a bit but knew God was pushing me to do this. As I shared about the love of God and then listened to these girls tell their stories, I had to repent of my former bitterness. God taught me to love and care for these girls and their babies. They each had a story with hopes and dreams of their own. Everyone deserves to know about the unconditional love God offers. This is what I hope readers see in the story, The Crux of Honor. Since God is love, when we allow Him to teach us His kind of love, we can’t help but be richer and enrich others.